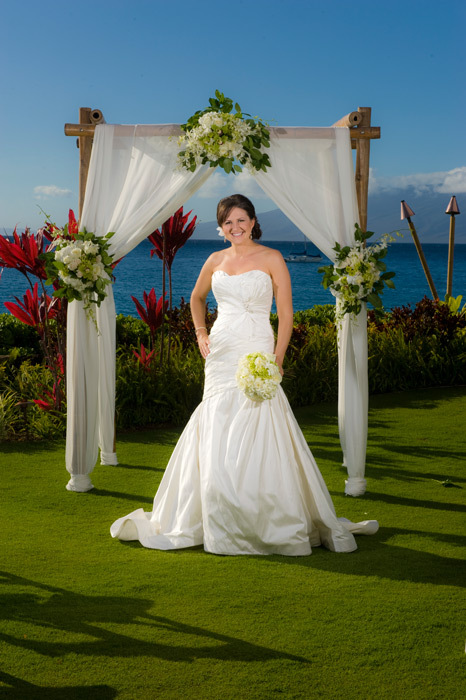 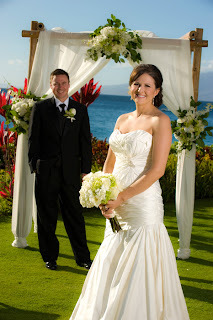 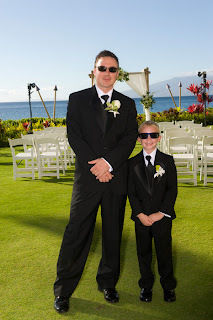 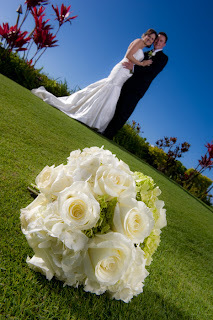 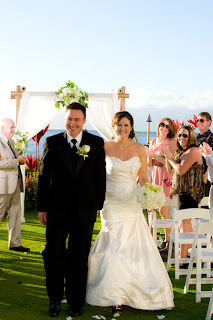 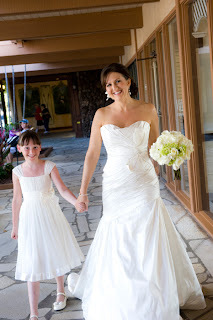 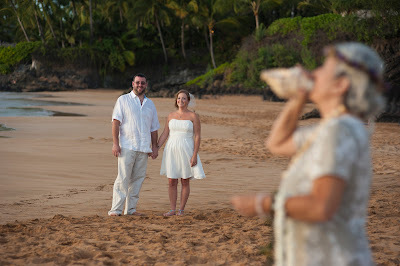 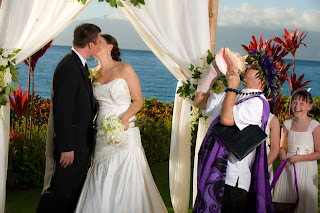 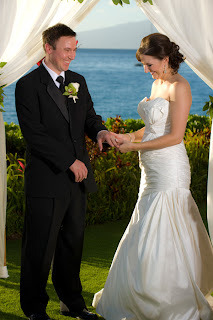 Ashley and Christopher opted for a mid afternoon wedding at one of Maui's finest oceanfront resorts. 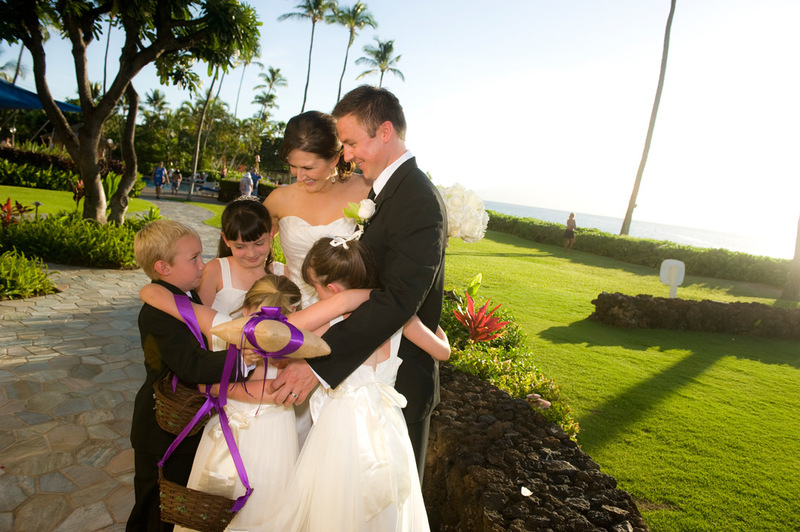 The lawn is an excellent venue, especially for extended families. 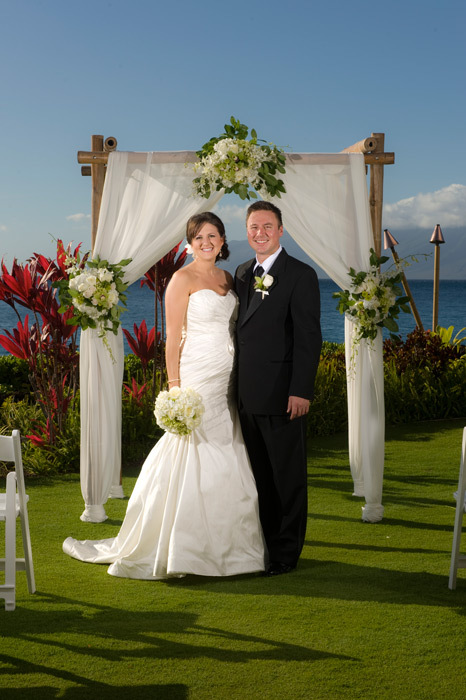 We set them up with white chairs and a gorgeous 3 floral arch for their special day. 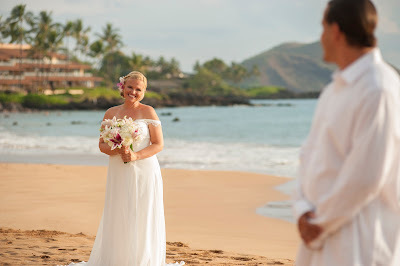 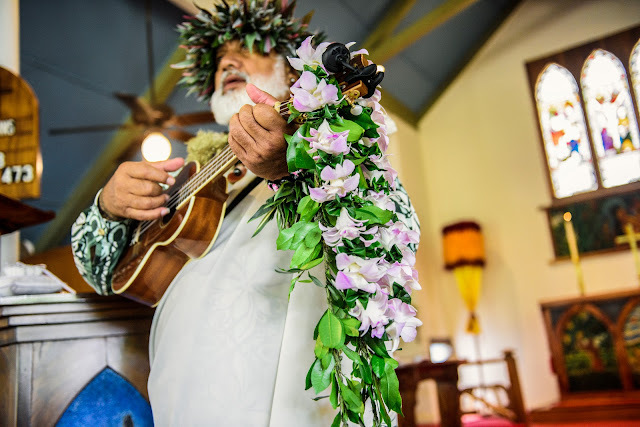 Some of these venues are reasonably priced and offer a more private and semi formal setting than the beach with ample parking and plenty of on site amenities.